Used to control the current injected into the ground bed to prevent the rusting of iron and/or steel objects inbedded in the ground. This highly efficient highly and stable multiple control mode unit switches automatically between the various control modes to maintain the proper structure potential as the ground bed resistance changes with operating conditions. Open Frame style for mount in NEMA enclosures. Also available in a 4" X 4" X 1.5" NEMA 4 box. 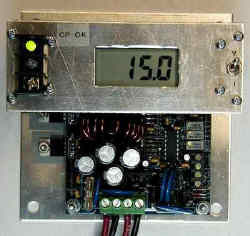 4.88" X 4.88" X 1.5"
It is recommended, as with all electronics, that the unit not be placed in direct sunshine. Note: In the interest of continuous product improvement, specifications subject to change without notice.